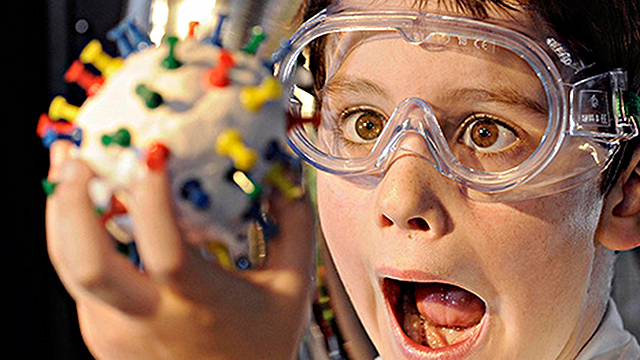 The Bay Area Science Festival, a 10-day celebration of science, starts this week. There are over 50 exciting events throughout the Bay Area, including hikes, lectures, and concerts. From a day of hands-on activities with Stanford’s Genetics department to a hawk talk in the Marin Headlands, from an exploration of food at the farmers’ market to a screening of the movie Contact with astronomer Jill Tarter (on whom Jodie Foster’s character was based), there is something for everyone. Here are some of the highlights: MythBuster Adam Savage will talk with author Mary Roach about her book Packing for Mars. Science writer Carl Zimmer will talk with two UCSF scientists about tiny friends and foes in Gut Check: The Hidden World of Microbes. RadioLab will be live at Berkeley’s Zellerbach Hall. Check out Dinosaurs vs. Robots at the Lawrence Hall of Science on Sunday, October 30. 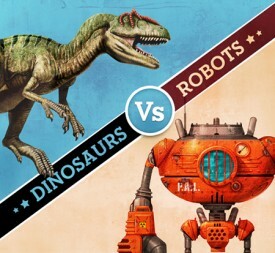 At Dinosaurs vs. Robots at the Lawrence Hall of Science, you can do hands-on activities to see for yourself which is the most awesome: paleontology or engineering. KQED will moderate a discussion, The Challenge and Promise of Artificial Intelligence, with researchers from Microsoft and Google at the Computer History Museum in San Jose. And there are three Discovery Days, packed with free shows, exhibits, and games. The Discovery Days are at Cal State East Bay (10/29), Infineon Raceway (11/5), and AT&T Park (11/6). If you go, keep an eye out for QUEST’s table! Find more fun stuff on the calendar—be sure to click over to see the events in November, too. The Bay Area Science Festival is part of a growing movement to celebrate science in the community. The festivals bring together different organizations and individuals to engage diverse audiences in science. The Bay Area Science Festival is organized by the Science and Heath Education Partnership at the University of California, San Francisco—along with dozens of partners. 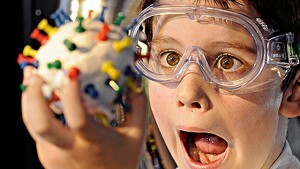 Science festivals started in the UK; now there are annual festivals in Philadelphia and Cambridge, Mass. And last year the first USA Science and Engineering Festival descended on the National Mall in Washington DC. To find a science festival near you, check out this map. I’ll be representing the Lawrence Hall of Science at the Discovery Day in AT&T Park on Sunday November 6—the Festival’s finale. Hope to see you there! I’ll see you there when I can get away from Stanford’s booth!